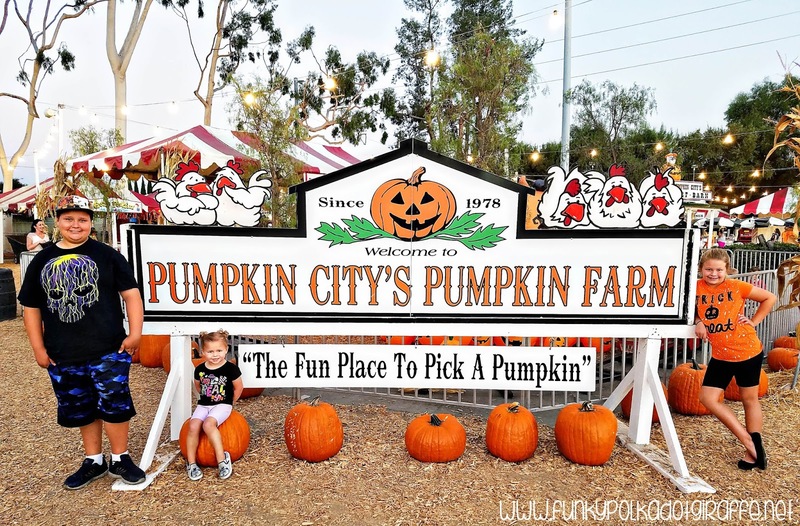 Disclosure: We were given wristbands by Pumpkin City so that we could experience the Pumpkin Farm as a family. 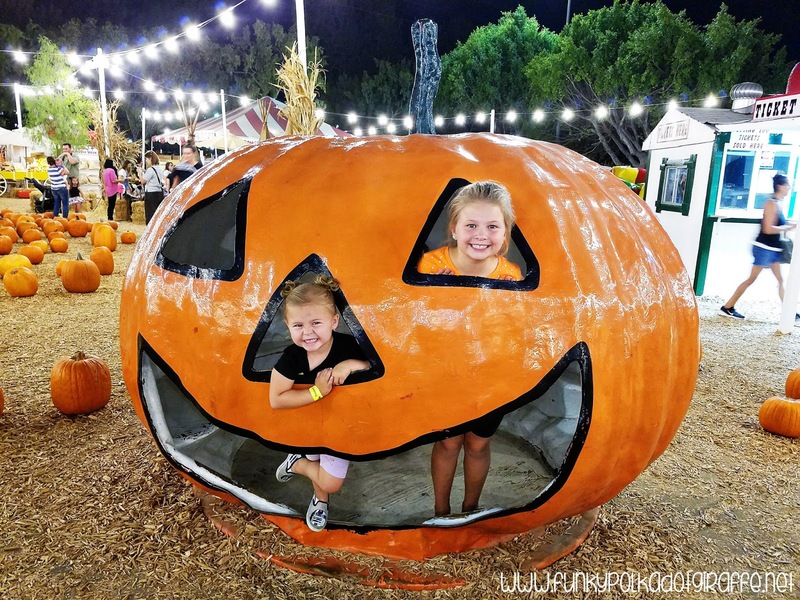 One of our favorite traditions as a family during the month of October (and it always makes it onto our Fall Bucket List) is to visit a pumpkin patch. I grew up in Iowa and we always visited the local pumpkin patch. 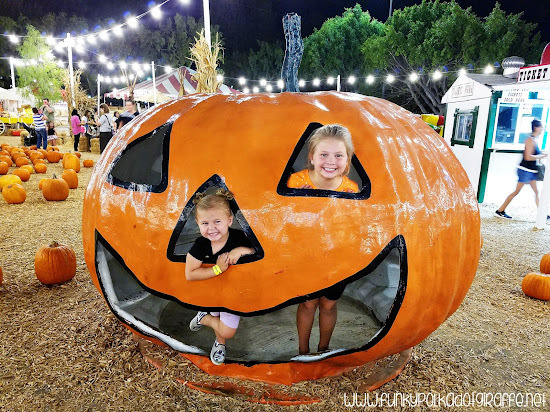 I was worried that since my kids are growing up in Southern California in a more urban location that they wouldn't get the fun of the pumpkin patch like I did. 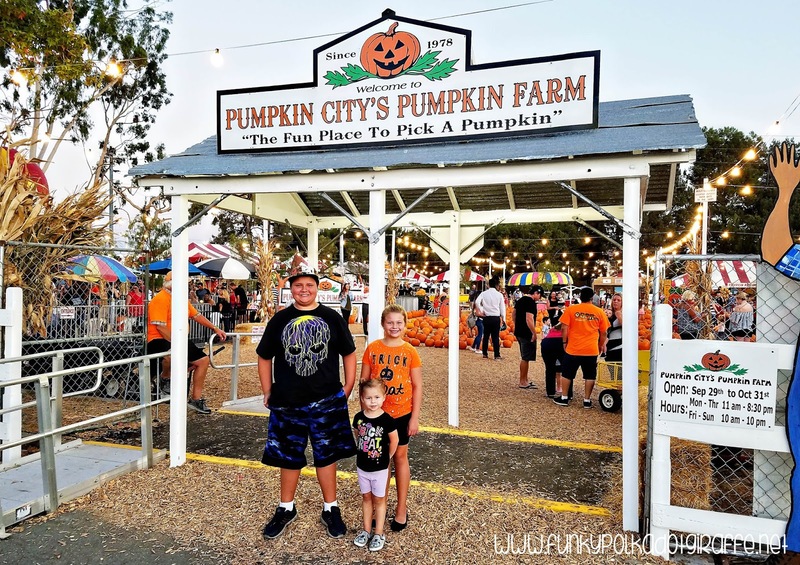 However, we are lucky to have Pumpkin City's Pumpkin Farm so close so they can participate in the fun of a Harvest Festival and pumpkin farm! 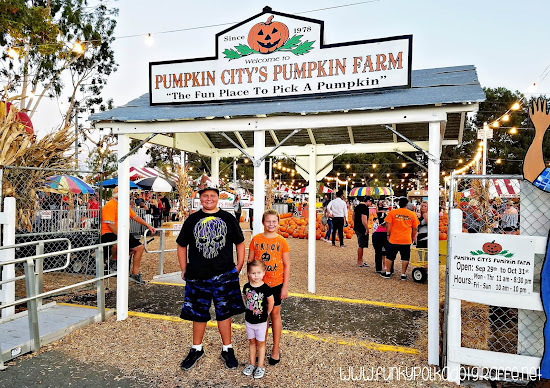 Pumpkin City all started back in 1978 as just a pick-up truck load of pumpkins and has now grown into one of Orange County's favorite Halloween traditions! There is a petting zoo, pony rides, puppet shows, amusement rides, game booths, bounce houses, and of course thousands of pumpkins in all shapes and sizes! Admission and parking are free! One of the amazing things about Pumpkin City is awesome fundraising opportunity they offer to local schools, The Wristband Fundraiser is only available at the Laguna Hills location and is offered on a first come, first served basis to local schools. 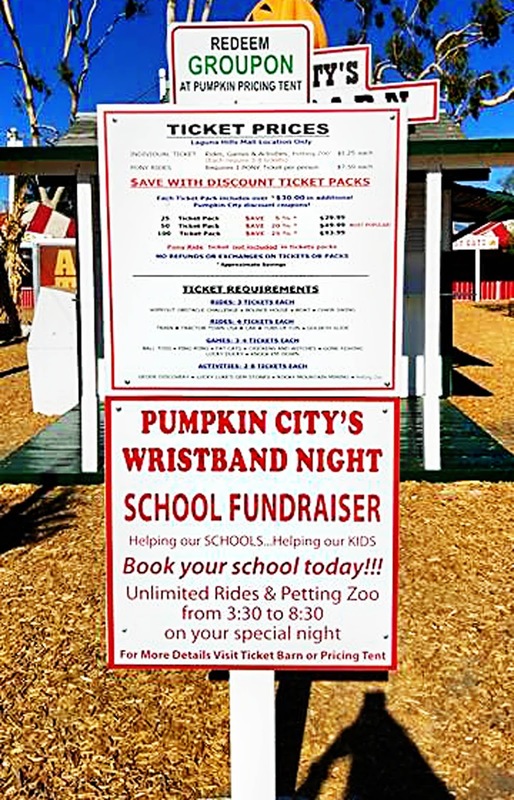 If you're interested in the wristband fundraiser for your school, please contact Pumpkin City's Fundraiser Coordinator. The school buys the wristbands from Pumpkin City for $12 each and then you sell them for $17. That means you make $5 on every wristband! Sell 200 wristbands and you've raised $1,000 for your school. Sweet! The wristbands allow guests unlimited rides on all carnival rides and unlimited visits to the petting zoo on your assigned school night. They do not include access to pony rides, game booths, or coin operated rides. Wristband nights run October 2nd-October 26th, Monday through Thursday nights from 3:30-8:30PM. The girls had a great time on all of the carnival rides! There was a good variety and they were both able to ride on all of them. 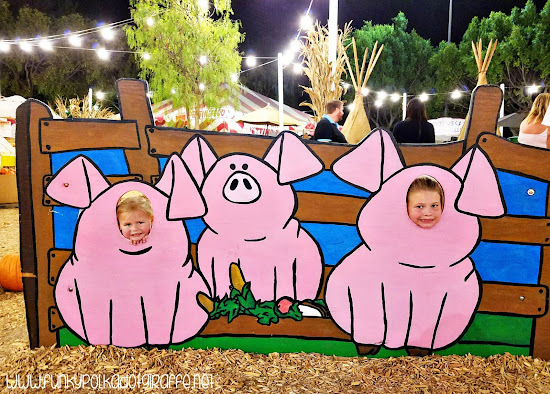 JT was too big for some of the rides, but he still had a blast running around visiting the petting zoo, doing the giant bounce house slide, and riding the carnival rides he could still fit in. I adored all the photo opps - because let's be honest, photo opps is what it is all about for this mama! 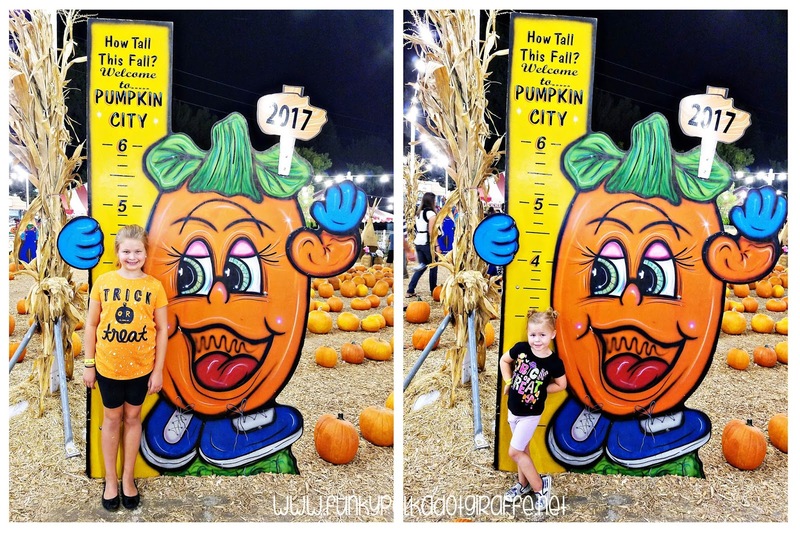 The girls always love when there is a chance to see how tall they are this Fall. This was our first time at Pumpkin City and I can definitely seeing us returning next Fall. The employees were great and very kind and helpful. And with the option to buy the fundraiser wristbands - it is such a great deal! 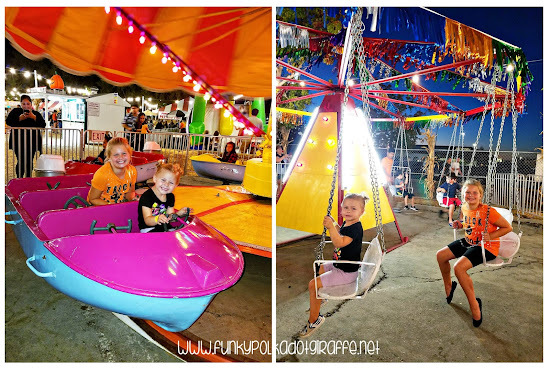 You know how those carnival ride prices can add up, especially when you have more than one child! Wait so jt was to old to ride the swing rides ?